The season of Lent is a time of spiritual retreat for the Christian family. In communion with Christ in the desert, the family is invited to forty days of puriﬁcation, of stripping down to bare essentials, of discipline, meditation and prayer before the festival of Easter. These forty days are both an occasion for penance and a celebration of the joy in the Father’s forgiveness. The duration of Lent is identical with the fasting and temptation of Christ, the forty days spent by Moses and Elijah in the wilderness, and the forty days’ grace given in the preaching of Jonah to Nineveh. For this week’s reading go below. The Lenten Cross, like many practices among the Christian faithful, is of uncertain date. Traditional Christian literature relates the Lenten Cross to Advent and the Christmas season both in terms of what the cross is made of and of what it means to the worshipping faithful. Some Christian families in the United States, for instance, make it a point to save their Christmas tree precisely for the season of Lent. On the Sunday before Ash Wednesday, they cut the rough tree trunk of the Christmas evergreen into two bars and piece them together to form a crude wooden cross. They hollow out six small holes then mount six candles for ritual lighting on Ash Wednesday, and on each of the six Sundays of Lent. 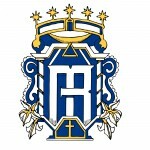 This symbol connects the whole of Christ’s life from crib to cross. We share in the joy of the birth of Christ as well as in His sorrows and in the glory of His resurrection. The Lenten Cross marks the continuity in the spiritual life of the faithful during the liturgical year. As the Advent Wreath is a preparation for the coming of Christ, so the Lenten Cross is a preparation for his resurrection. Presider: Blessed be the cross of our Lord Jesus Christ. All: For in Him is our salvation, life and resurrection. Presider: The holy cross shines in splendor. All: In the cross is our victory and our strength. Presider: Let us pray that we may have the courage to forgive those who have oﬀended us and the faith to renew our commitment to the Lord each day of the year. Presider: Father in heaven, out of your great love for the world, you reconciled earth to heaven through your Son Jesus. Fill us with your tenderness that we may all be reconciled to one another in love and in mutual affection. Visit this page for each Sunday in Lent and in Easter season. Family prayer in the home is the most basic form of communal worship or liturgy. Like the Advent Wreath, the Lenten Cross has a special attraction for children. Simple prayers and gestures during a brief ceremony become profoundly meaningful experiences and help shape the spiritual life of the family. For each member who participates, it creates a warm family connection of tradition and belonging, as well as wonder in God’s presence. The following pages present a few special services for each week of Lent. However, you may want to formulate your family’s own prayers, songs, words and customs. There are various customs for lighting the Lenten Cross. Some families light all the candles and extinguish one candle each week—the reverse of the Advent Wreath. Others prefer to light one more candle each consecutive week. The lighting may be accompanied by scripture readings for the day or evening prayer. 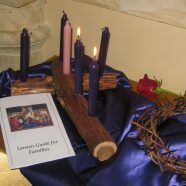 Some families may choose to light the Lenten Cross at the evening meal with accompanying prayers. Presider: Our help is in the name of the Lord. Presider: Let us pray. O God, by whose word all things are made holy, pour forth your blessings upon this cross and grant that we who use it may prepare our hearts for the glorious resurrection of your Son Jesus Christ. Presider: Let us pray that we may prepare our minds and hearts during this holy season of Lent for the great joy of Easter. Presider: Father in heaven, look upon this family of yours for which our Lord Jesus, your Son, underwent the sacriﬁce of the cross. As we are ready to share in His Passion, make us ready, too, to share in His Easter glory by serving you all the days of our life. All: Amen. For more Lenten resources, go here.